With spring coming up, this is the perfect time to clean up your garage and make sure it stays clean and organized. Sometimes re-organizing takes a little more than just shuffling items around – having a comprehensive system of shelving and cabinets can make a world of a difference to how you arrange your items. Are you and your family active people? Do you have bikes, baseball bats, hockey sticks, roller blades – and sometimes it feels like they are just taking over? Items typically stored in the garage can take up a lot of space and create a lot of clutter. 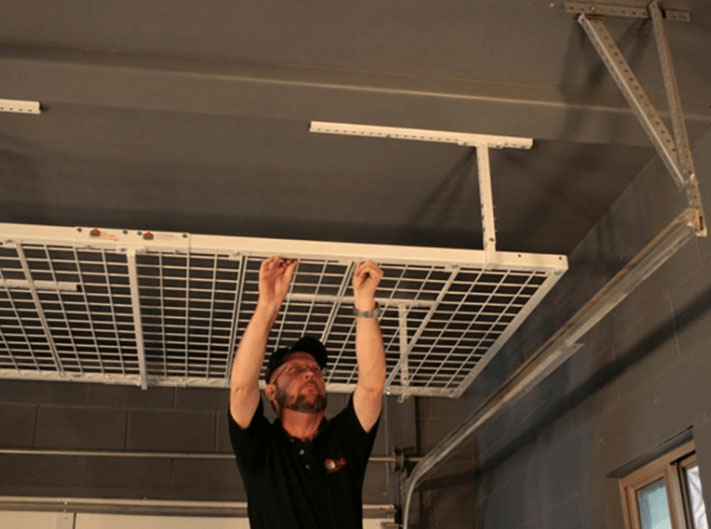 Having overhead storage is an optimal way to keep things stored above and out of the way, while still remaining accessible and in reach. The garage is the place to store the multitude of items that go into maintaining your home and car. It can get overwhelming if you don’t have the right storage for your items. Why keep navigating a stuffed shelf when you can use your wall space to hang up things nicely? 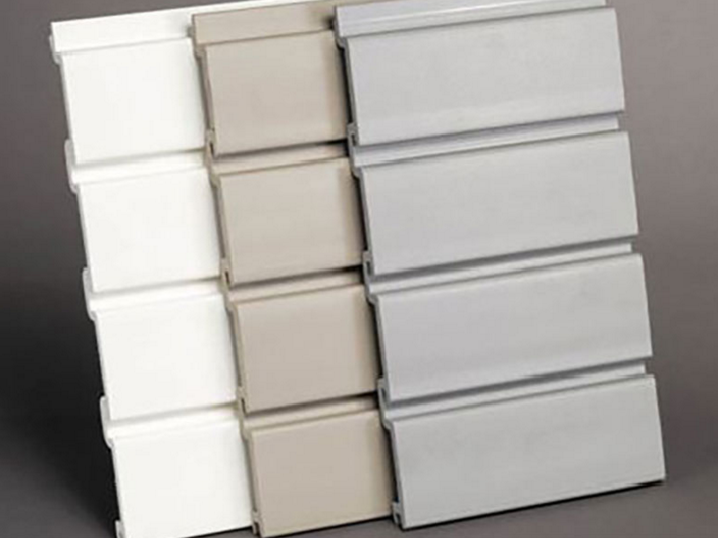 Installing PVC slat walls is the perfect solution for using your wall space in your garage effectively. Not to mention, slat walls just look great and come in an array of colours. They look clean, are water and stain proof and all you need to do is give them a quick wipe down once in a while for upkeep. In addition, they are fully customizable. You can buy and attach hooks, and smaller hanging shelves to create the perfect design solution for your organizing needs. What’s more, if you cover your entire wall in them, you’ll never have to re-paint your walls again. 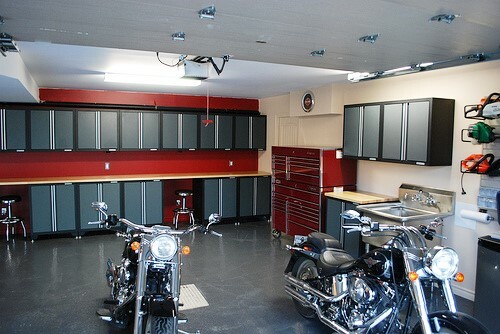 Using a combination of different kinds of storage will prove to make your garage a breathable, organized space to visit and even spend time in. 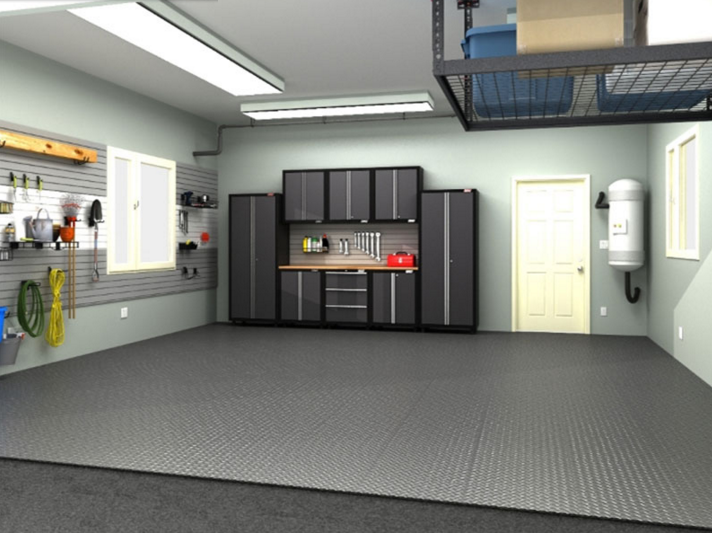 If you want to maximize your floor space to be able to use your garage as a work space or even just make it an easier place to park your car – this is an ideal way to create that environment. Contact us today to get started!